Another traditional event associated in parallel to the Lovers’ Quarrel, The Roar of Two brave Lovers, Richmond Mahinda big debate was held on the 13th of March 2019 at Sir Henry Steel Olcott Hall, Mahinda College. Sinhala and English debating teams, a team of Old boys from both schools took part in this traditional event. 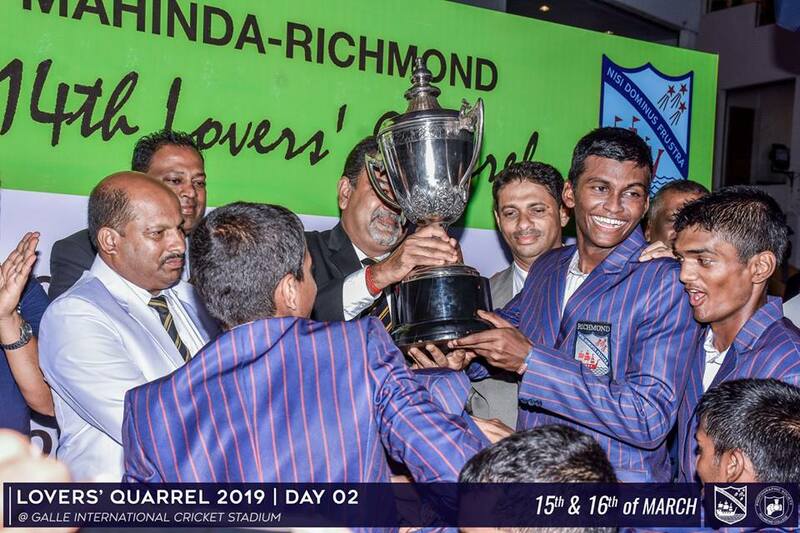 The annual cricket encounter between Richmond College and Mahinda College also fondly known as “The Lovers’ Quarrel” was started way back in 1905. Records of Debating of Richmond College can be found during the period of the Principal, Rev. J.H Darrel. However, Richmond and Mahinda friendly debate was started much later in the 1940s. Debating Teams of Richmond College. English: Rasula Yaithya (Captain), Lakindu Kariyawasam, Himanshu Sahabandu, Chehan Jayasuriya, Shashmitha Kurukula Arachchi. Sinhala: Dulasith Nanayakkara (Captain), Nisala Nuwanidu, Thisara Kavinda, Tharuka Thathsara, Chamod Dewunith. 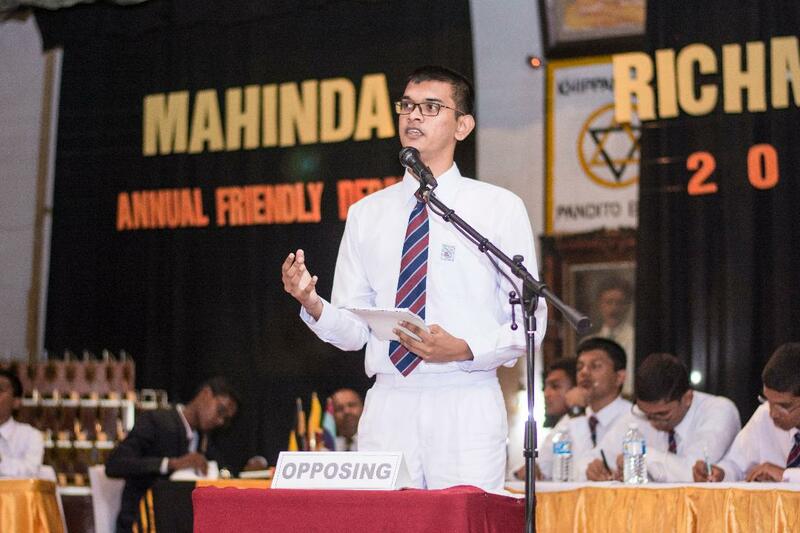 Debating Teams of Mahinda College. Sinhala: Isara Upamada(Captain), Akindu Narangoda, Charith Induwara, Lehan Nalagamage, Navoda Nirmal. 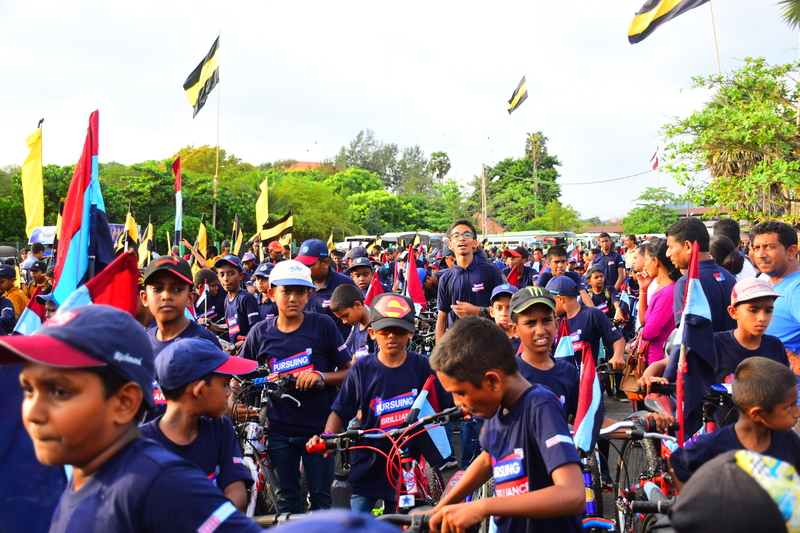 Tour De Force, which was organized in parallel to the Lovers quarrel , joined cycle parade of both Richmond and Mahinda colleges was held on the 10th of March 2019 under the auspice of the principals of both schools, Mr. Sampath Weragoda and Mr. Gamini Jayawardana. Students, old boys and parents paraded over 15km peacefully demonstrating the true friendship and brotherhood among the two school that has been there for over a century. Richmond Walk 2019″was held successfully on 22nd February 2019, in order to commemorate the 125th anniversary of the Old Boys’ Association of Richmond College. 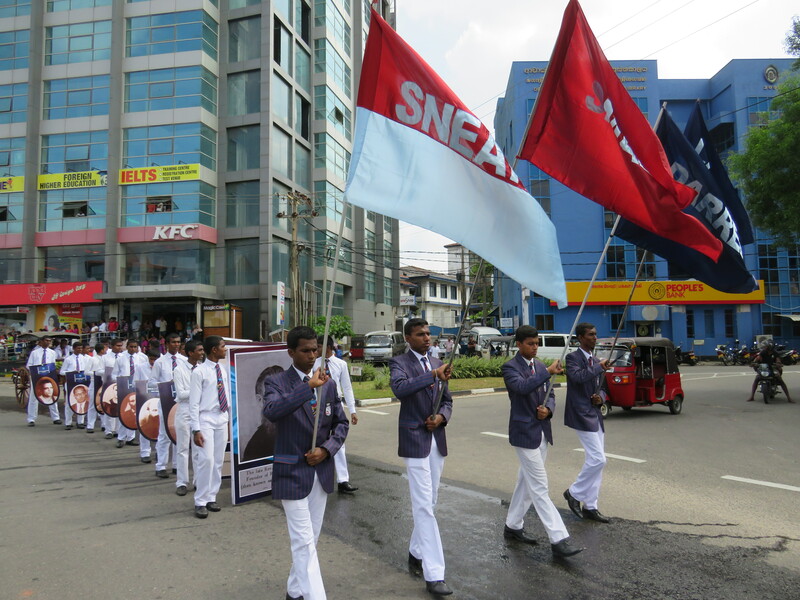 The principal Mr.Sampath Weragoda, past principal B.Suriarachchi and many other distinguished guests participated along with the old boys, staff and students to walk. Starting around at 8:00 a.m. from the school premise they walked to “Samanala ground” where “Richmond Rhythm”carnival was also set to happen. It was too organized in celebration of 125th anniversary of RCOBA. There the end of the walk was marked the beginning of the Rhythm carnival. 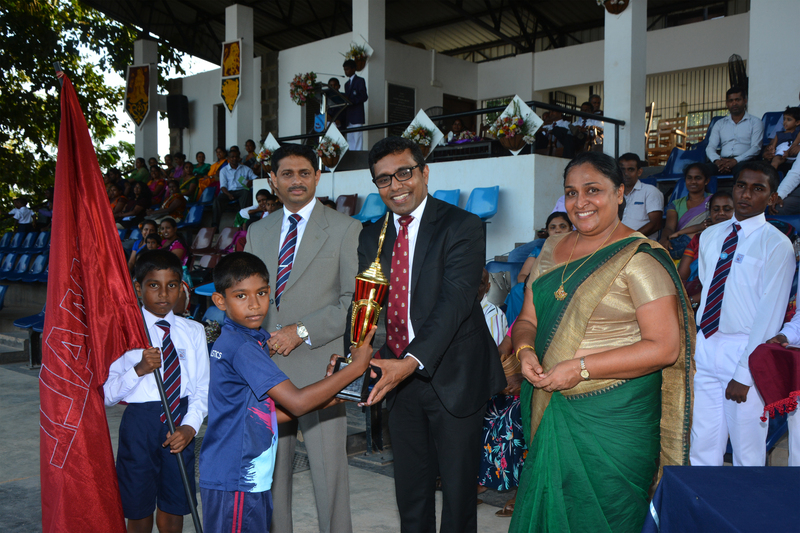 The inter-house Primary sports-meet 2019 was held last Thursday the 21st of February with the participation of the renowned richmonddite Dr.Gayan Eyanayake. There were many events in the sports-meet including the drill display and the ceremonial march past. This event has created a good platform to young Richmonddites to show their talent . 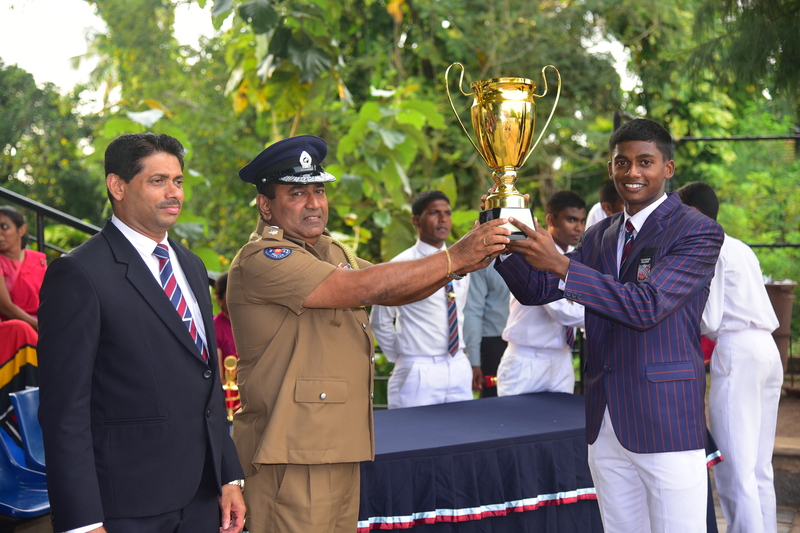 The inter-house sports-meet 2019 of Richmond college was held on the 06th of February at the college Sneath ground under the auspices of the renowned richmonddite, former sports’ captain of the college, superintendent of police, Mr. Vidura P.Jayasinghe. Darrel house won the championship of the inter-house sports-meet 2019 while Sneath house became 1st runners up and Small house became 2nd runners up. Langdon house remains in the 4th place. .
Chanidu Lakhiru of Darrell house won the award for the best player under 12 category while Rehan Sithila Yapa of Sneath house won the award for the best player under 14 category. Sanuka Nanayakkara of Darrell house who was the best player under 16 category and was able to break a inter-house sports-meet record in the shot put event. Risinu Randunu Liyanage of Darrell house won the award for the best athlete in under 18 category and Sports captain Binara Thaabrew won the award for the best athlete in under 20 category. Harith Umayanga of Langdon house was the best athlete in junior catogory and Pasindu Lakshan of Darrell house was the best athlete in senior category while over all Charith Anuraha of Darrell house won the award for the best athlete for the year 2019. Ceremonial march-past done by the grade 10 students and the drill display done by the grades 7,8 students made a flamboyant picture to event. Inter House Aquatic Meet of Richmond College was held on 31 of January 2019 at the school Swimming Pool Complex as one of the dignified events of the Richmond calendar in parallel to Inter House Sport Meet . Director of Sport in Southern Province and the Secretary to National School Swimming Association Mr. Krishan Duminda graced this occasion as the Chief Guest. Nadith Jayawardana is awarded as the best swimmer of the Richmond College under senior category while Tharindu Addithya de Silva won the award under junior category for the year of 2019. Darrel House won the champions trophy by receiving 199 points,by receiving 97 points Small House became the first Runner up, Sneath House baged 87 points and became the 2nd Runner up while Langdon House became the fourth place by receiving 80 points in the Aquatic meet of 2019. 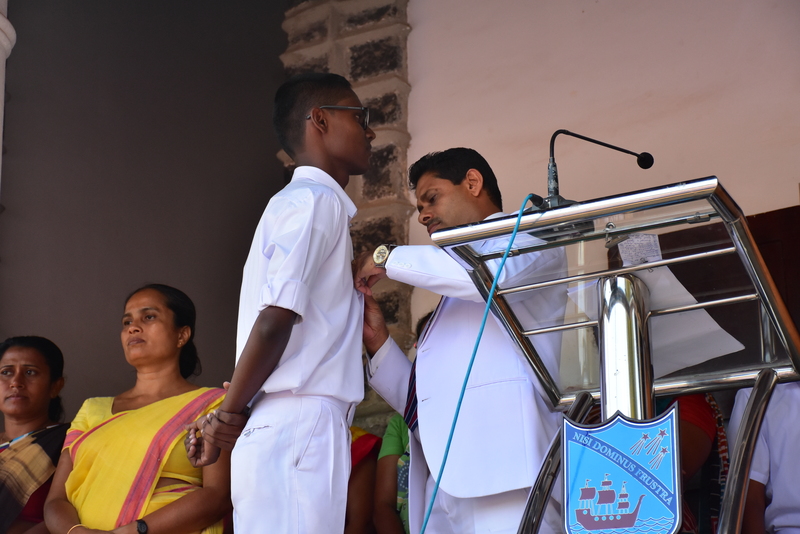 Prefects’ Investiture of 2019 was recently held in the college Sneeth Ground under the auspice of the principal of Richmond College Mr. Sampath Weragoda. The most senior prefect Thilina Mendis has been appointed as the head prefect for the year of 2019 and Maneth Pathirana is appointed as the secretary. Raveesha Vikum, Thinupa Wijesekara and Thanura Weerasinge are the newly appointed Treasurer, Assistant secretary and Assistant Treasurer for the year of 2019 respectively. 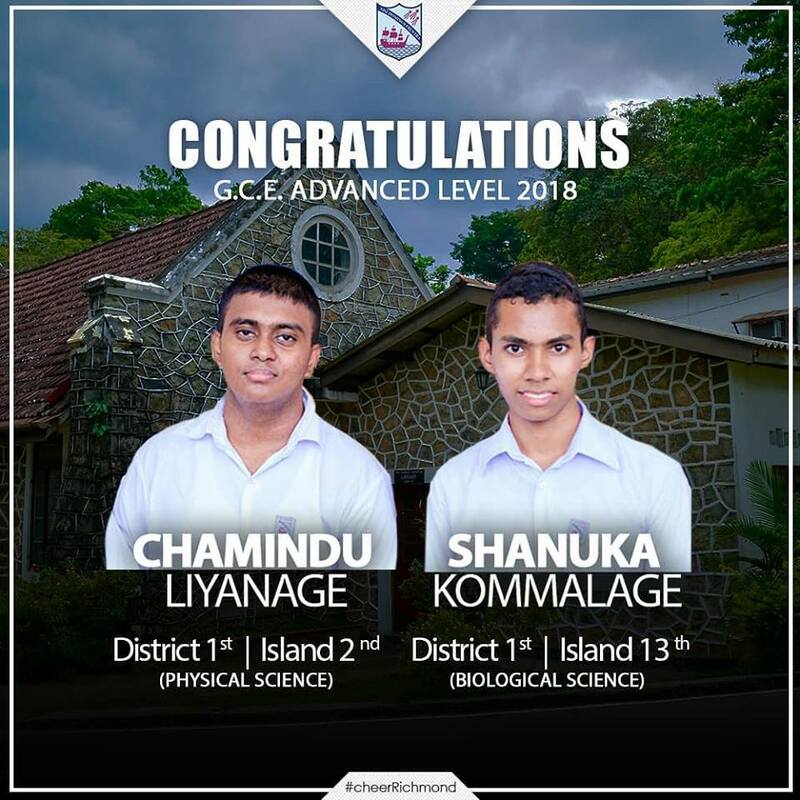 Including two Richmondites, Chamindu Surath LIyange who excelled the second in All Island and first in district from physical science stream and Shanuka Komalage who became the 13th in All Island and first in district from the biology stream, 393 candidates are able to get through the university entry among 552 candidates by giving the glory and honour to mother Richmond. 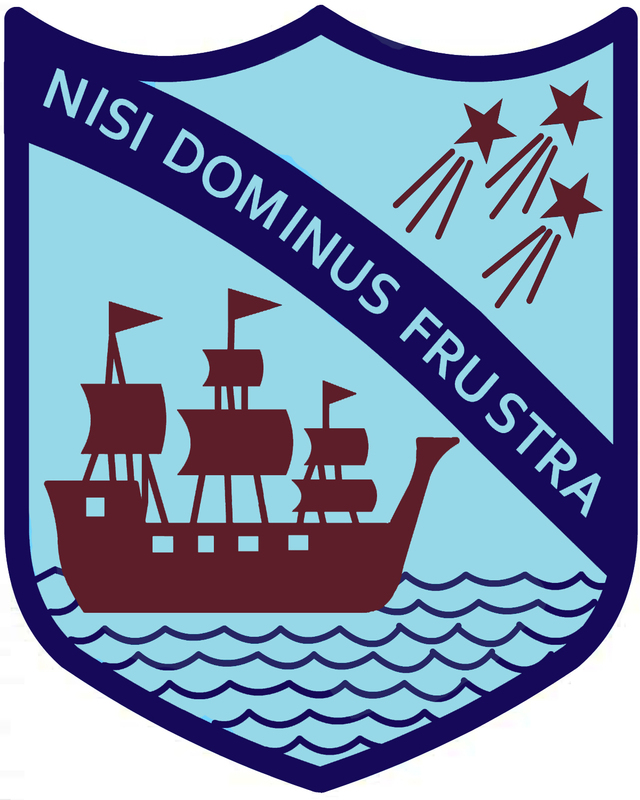 Moreover Richmond College was able to achieve the excellent academic results in year of 2018,surpassing all other schools in Southern province,carrying ten Richmondites to commendable positions in the district.